The region around Ahmedabad is full of surprises. Be it regarding natural beauty or historical marvels, Ahmedabad offers everything in the form of short trips to its visitors and tourists. If you are also looking for a weekend getaway from Ahmedabad, then Rajsamand should be your destination this weekend. Apart from the natural beauty at your destination, a trip from Ahmedabad to Rajsmand will certainly provide you with en route destinations which will definitely make your journey more interesting and thrilling. 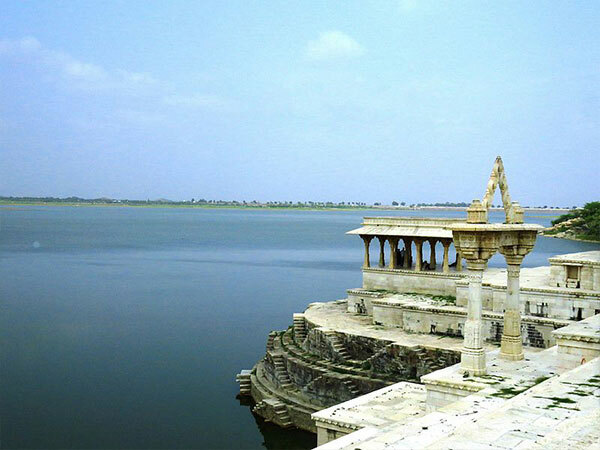 How about a weekend trip from Ahmedabad to Rajsamand? As Rajsamand experiences a hot climate, it is wise to avoid visiting Rajsamand during the summer season. The best time to visit Rajsamand is from October until the end of March, as during this period the climatic conditions are favourable, letting its visitors roam around and enjoy the beauty of lake comfortably. By Air: You can take a flight to Udaipur and then from there, you can hire a cab or catch a bus to Rajsamand, which is located at an approximate distance of 75 km from Udaipur. By Rail: There are no direct trains available between Ahmedabad and Rajsamand. However, you can catch a train from Ahmedabad railway station to Udaipur station and then from there, you can catch a bus or hire a cab to Rajsamand. By Road: Located at a distance of 320 km, Rajsamand is easily accessible by road from Ahmedabad and nearby cities. You can take the following routes if you desire to move on your own. However, route 1 is the fastest as it will take 1 hr lesser than route 2 to reach the destination. While on your way to Rajsamand, you can take a break at the following places. How can one bypass Udaipur and neglect its breathtaking beauty? If you are on your way to Rajsamand, then do not forget to take a break at Udaipur, the city of lakes and palaces. The world of royal hospitality starts from Udaipur and if you want to feel this warm welcome, then get yourself here. Also known as the Kashmir of Rajasthan, Udaipur is one of the greenest and most visited places in Rajasthan as it gets separated from the Thar Desert by the Aravalli Range. Who would not want to take advantage of such exotic beauties present within the boundaries of one place? Eklingji is one of the most popular temple complexes amongst explorers in the state of Rajasthan. Located in the Udaipur district, this complex of 108 temple dates back to the 8th century; however, it has been renovated several times. The beauty of Eklingji lies in its history, architectural work and small sanctums with designed walls. If you are in and around Udaipur, then you must visit Eklingji to learn about the evolution of Rajasthan. The major festivals celebrated here include Maha Shivaratri and Eklingji Patotsav. Rajsamand is a small town in the state of Rajasthan and is named after its popular lake, Rajsamand Lake, which was created during the 17th century by Rana Raj Singh of Mewar district. Apart from its famous lakes, tourists also get allured by its natural beauty in the form of greenery and small hills nestled in and around the town. Rajsamand is also popular for its rich mineral resources and is one of the prominent suppliers of valuable stones, such as granite and marble. However, the major thing which attracts thousands of tourists throughout the year is its pristine and dazzling artificial lake. How about getting yourself surrounded by the beauty of Rajsamand and taking a stroll around the lake in its cultural and peaceful ambience?